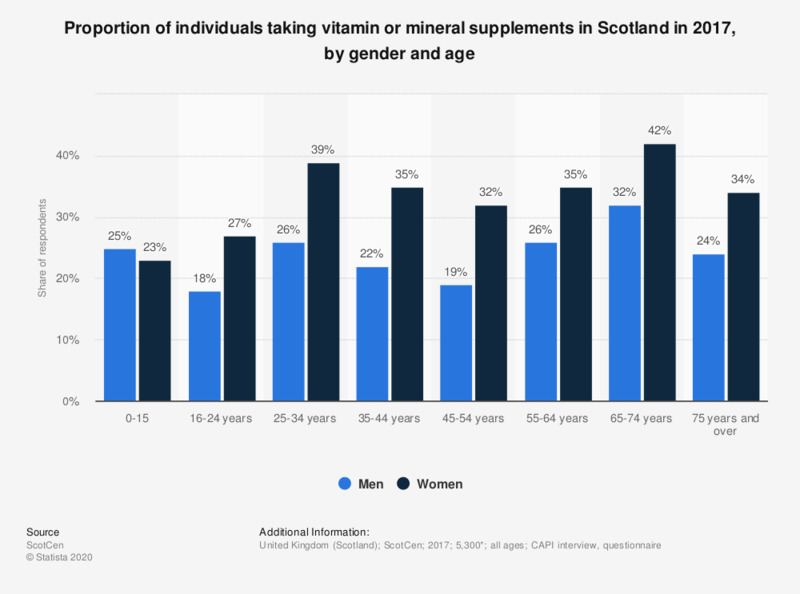 This statistic displays the proportion of individuals who take vitamin or mineral supplements in Scotland in 2017, by gender and age. In this year, 18 percent of men and 27 percent of women aged between 16 and 24 years old take supplements. * 3,697 adults and 1,603 children.